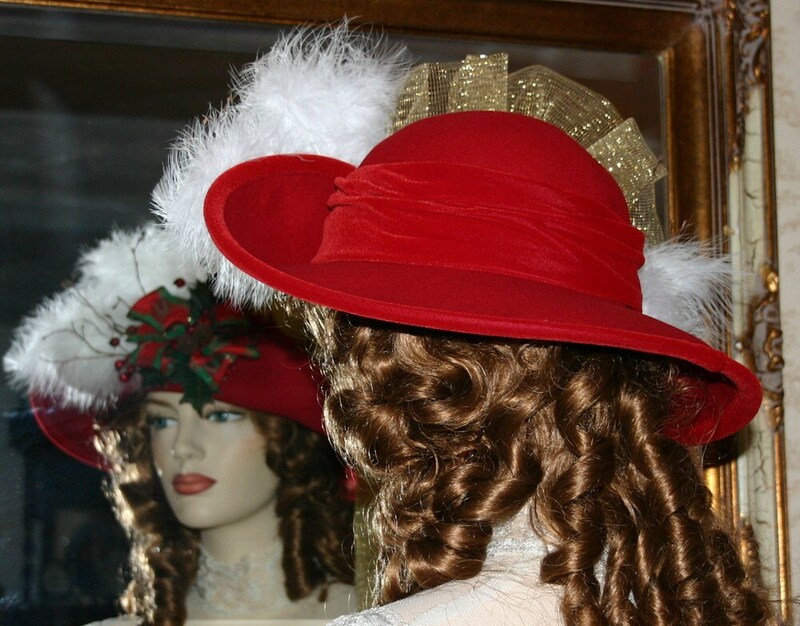 Edwardian Hat "The Spirit of Christmas" is a darling red wool hat with red velvet trim around the crown and on the edges of the brim. Very Festive! Each hat will be unique and NOT exactly as the photo, but equally as beautiful (the photo is just a sample of the design). 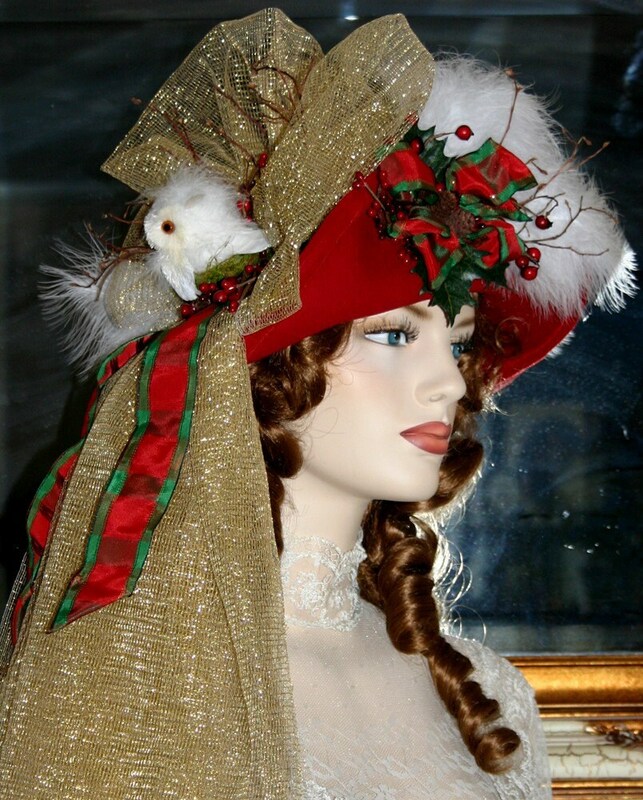 The ribbon is red and green satin with threads of gold (red and green ribbon may vary slightly from hat to hat); tiny fir cones, twigs and white marabou feathers are a perfect backdrop. 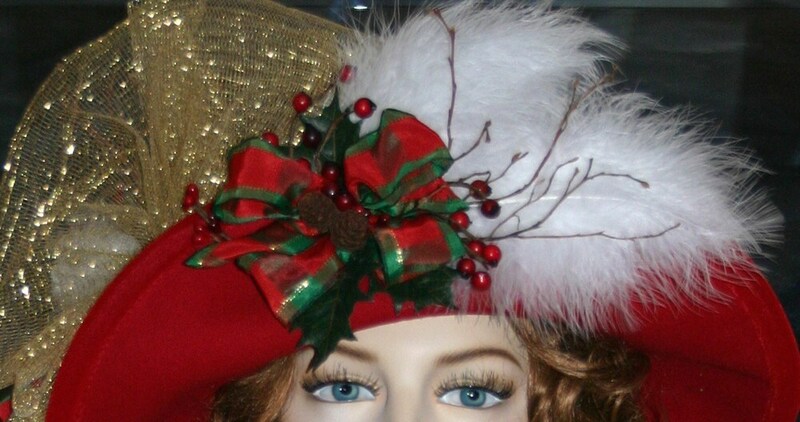 The side of the hat is accented with a golden net bow. 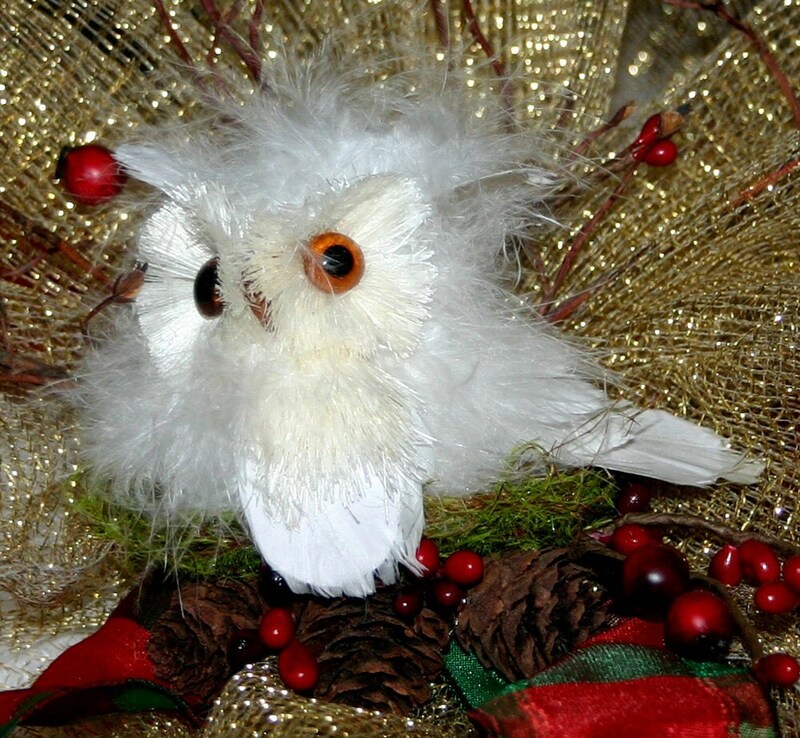 In the center of the bow a darling little snow owl perches upon his nest of moss and fir cones accented with holly berries. Tiny twigs and etc... are the back drop for the snow owl. 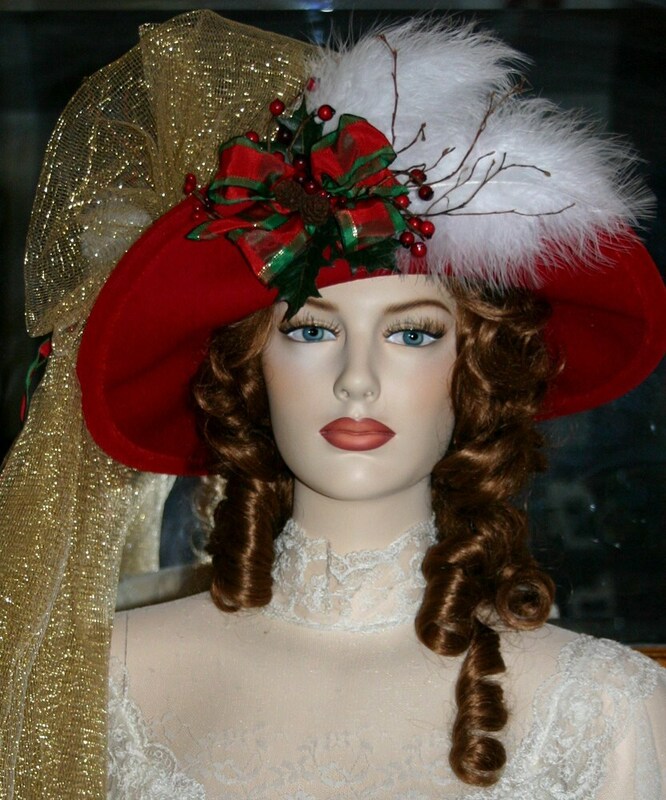 This hat has a basic earthiness combined with a flair of elegance! A lot of fun to wear for the Christmas season ahead.